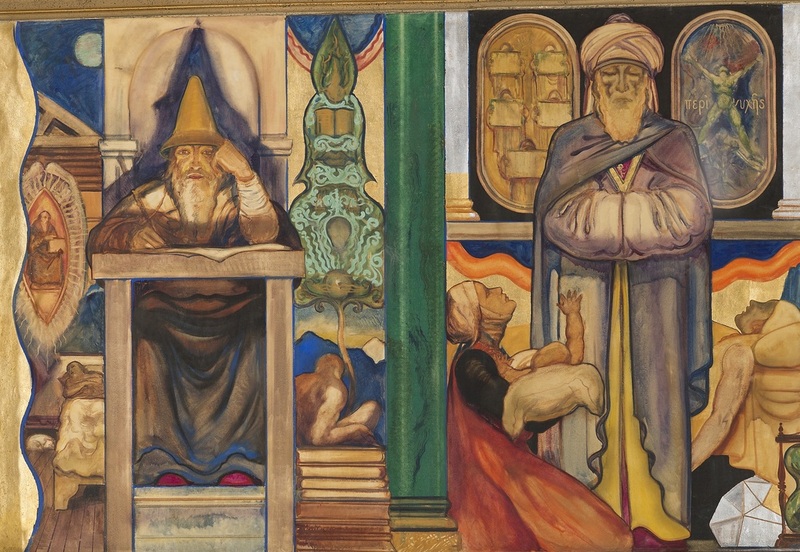 Mural Description From the Lectures of Rabbi Edgar F. Magnin, 1929-1930: Rashi: The famous commentator is working at his desk. The pointed hat is typical of the period. One the left, on a smaller scale, he is depicted in his bed dreaming. Above him is the subject of his dream, a righteous man, his companion in Paradise, surrounded by a nimbus. On the right a Biblical theme taken from the eleventh chapter of Isaiah: 'And there shall come forth a shoot out of the stock of Jesse and a twig shall grow forth out of his roots.' A Messianic vision. Rashi's real name was Rabbi Shlomo bar Isaac, which means Rabbi Solomon son of Isaac. The first letter of each word (with the exception of bar) makes Rashi so that the name by which he is commonly known, is a contraction of initials. He was born in Troyes, France in the year 1040. His parents were poor, but were noted for their piety and learning." "Maimonides, famous Jewish physician, philosopher and commentator garbed in the Arabic costume of the period. On the left below, a woman with a sick child seeking his help. On the right below, a figure of death, a symbol of mathematics and the hour glass. On the left above, figures holding Five Books typifying the Pentateuch. On the right above, Aristotelianism - a figure reaching to heaven, its feet on the ground. Two Greek words signifying a book on soul conjoined with organic body. Maimonides (Moses ben Maimon) was born in Cordova in 1135. He came from a family of scholars. He was taught by his father and by distinguished Arabic professors who instructed him in science, medicine and philosophy..."
Rashi and Maimonides lived in times when Jewish history was on the edge of change. Despite (or because of) the challenges they faced, their thinking and writing both produced new and brilliant understanding to the Jewish texts we continue to learn from today. Many of our great Jewish books, like the Mishneh and Talmud document an ancient and ongoing conversation between some of our great thinkers and Rabbis over hundreds of years. Generations later, we can still learn from great teachers like Rashi and Maimonides if we know what questions to ask. What can we learn from the Mishnah and the Talmud? Why are books so important to the Jewish people? How do the teachings of Maimonides speak to us today? The Jewish people are often called the "people of the book." The book referred to is usually understood to be the Torah: the Five Books of Moses, and N’vi-im, the Prophets, and K’tuvim, the Writings. As such, the Tanach—Torah, N’vi-im, and K’tuvim—is the foundation for all of the books to which Jews devote study. Rabbi Solomon ben Itzhak, known as Rashi (1040-1105 C.E. ) and Ben Maimon--known as Maimonides (1135-1204 C.E. ) were born centuries after the Mishnah was compiled. Their studies took them deep into the volumes of Jewish text known as Talmud. Working a century apart from one another, Rashi in France and Maimonides Egypt, they both produced new and brilliant understanding to the Jewish texts we continue to learn from today. It is over 900 years since Rashi’s passing and over 800 since Maimonides’. Both lived during during Medieval times when life for Jews in Europe was met with increasing hostility, anti-semitism and violence. Both lived in a time of Jewish history on the edge of change. Rashi witnessed the Christian Crusades' attacks against Jewish communities. 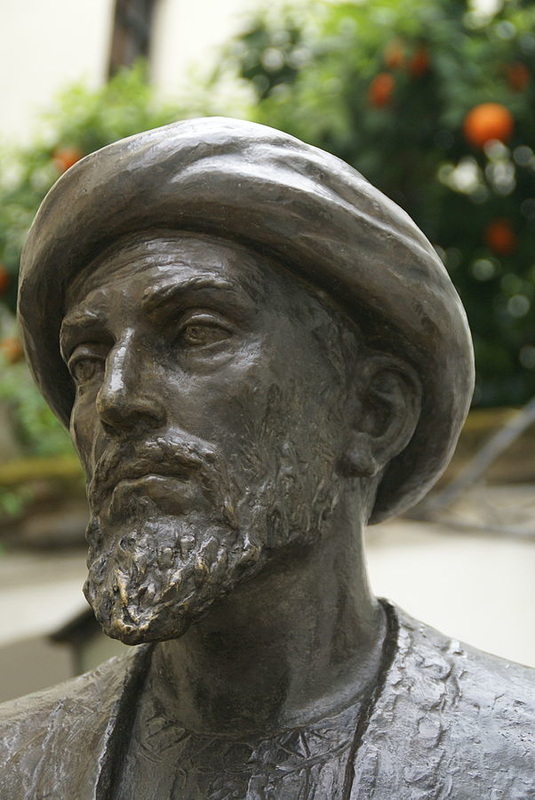 Maimonides was born in Cordova, Spain when an extreme Moslem sect from North Africa called the Almohades invaded. Maimonides family fled to Morocco when he was 13. They later moved to Egypt where he remained. Maimonides became a brilliant doctor, philosopher, leader of the Jewish community, and writer of the essential Jewish texts, including the Mishneh Torah, which organizes all the laws and commentaries from both the Mishnah and Talmud. It is said that while "Maimonides is regarded as Medieval Judaism's greatest philosopher and intellect; Rashi is its greatest teacher." Of the many Talmud editions that have been printed since the 16th century, all have included Rashi's commentaries on the Mishnah. He is known for his brief and clear explanations and interpretations of the text. The Mishnah had become the primary text of the Jewish people as the Third Century C.E. began. In the academies of Jewish learning in the Galilee, and in Babylonia where the large diaspora Jewish community lived peacefully at this time, groups of Rabbis would gather to study the Mishnah and discuss its meaning, and what it meant to their lives in the present. Over time, the commentaries and discussions were documented, with each succeeding generation commenting on the Mishnah, as well as the commentaries of the previous generation. This went on for several hundred years. This continually growing body of commentary, stories, discussions, arguments became an object of study in its own right. New materials were produced and the body of text took new form with new commentaries. Eventually the process of collection stopped and the text came to be called the Talmud in Hebrew, which means study. Two Talmuds were compiled at this time: one was produced in the Galilee (called the Jerusalem Talmud). This was started earlier and dates from the first half of the fifth century. The Babylonian (or Bavli) Talmud, was created by Jewish scholars living in the Babylonian diaspora during a longer period of time, a century or two later. It is more extensive and is the volume most scholars turn to. In this exercise, students will understand the layers of knowledge within a page of Talmud. Use "The Guide to the Layout of the Talmud Page" below to navigate the different kinds of text on the page. If possible, bring in a volume of Talmud to share with the students and let them gather around it and ask questions. 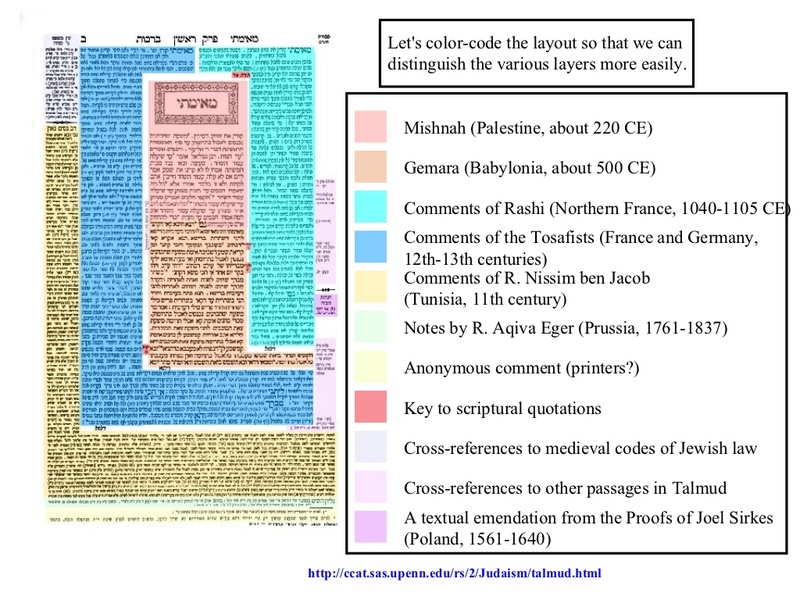 Discuss what the different sections are about using the the color-coded page of the Talmud below as a guide. Where is the section of the Mishnah on the Talmud page? Where on the page is Rashi's comments? Who wrote or compiled the book? What are the different parts of the book? How and when is it read? What is an example of a short text (in English) in the book? What questions do you have about the book or text? 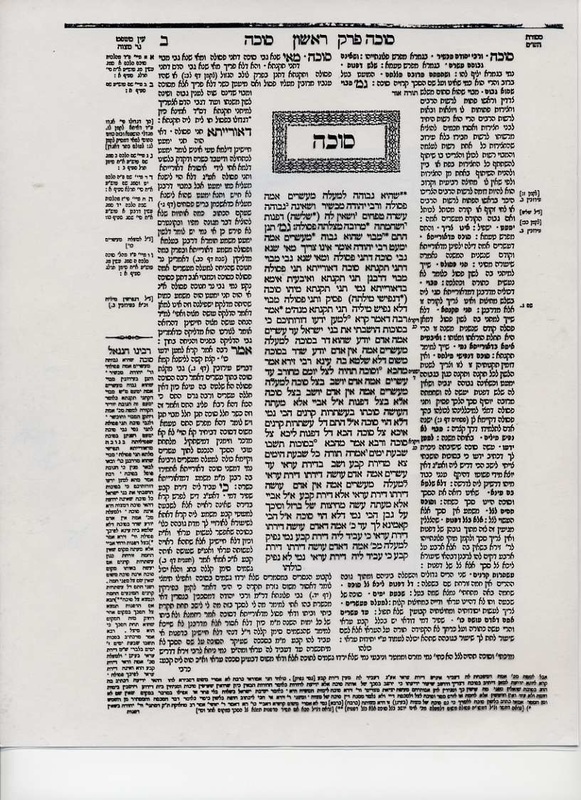 Click here for a blank template of the Talmud page layout. Copy this template onto 11" x 17" paper, one per group of four students. Students can use fine colored markers or pens to carefully write in the information. See the template below for suggested organization of the text on the page. Click here for a pdf of the template below. After students create their Jewish Text page, hang them on the wall. Ask each group to formally present by walking the class through their page. Encourage discussion and document the questions students have about the texts. As a class, chose a few of the questions to research together. Add the new information to the pages. In considering the passion and commitment to Jewish learning that resulted in the preservation of these texts over thousands of years, conclude with a discussion about which book and ideas presented in this lesson students want to know more about as they get older and why. What questions do they continue to have? Activity #3--Maimonides Teachings for Today. When we look at the portrait of Maimonides in the Wilshire Boulevard Temple mural, or at his thoughtful face in this sculpture in Cordoba, Spain, Maimonides' birthplace, it helps us put a human face on the teachings that have been passed down from generation to generation. One of Maimonides' most accessible teaching, especially for young people, is the "Ladder of Tzedekah" . Read the quote above from Maimonides and discuss with your students. Clarify vocabulary as needed--particularly the words, "scrupulous" and "righteous." Do they agree with Maimonides? Have they seen evidence of this in their lives? Print out copies of this hand-out from Berhrman House and Babaganewz, that lists in descending order Maimonides' "Ladder of Tzedekah." Cut them into 8 strips before giving to the students. In small groups ask students to put them into order, from the most favorable way of giving tzedakah at the top rung, and the least favorable way at the bottom rung. Discuss with students why they made their choices. What was their thinking behind it? In what ways do they see the teaching of Maimonides acted upon at home and at school? Are there ways that they can build upon this teaching so it meaningful and relevant for them today?